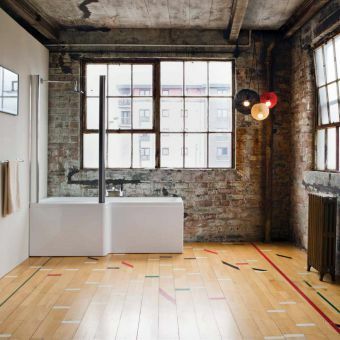 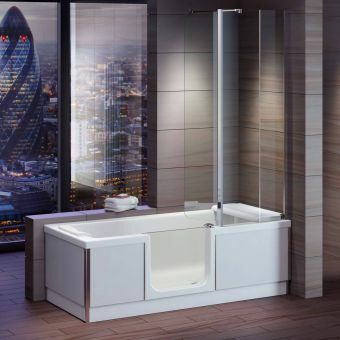 The Hampstead P shaped shower bath is a modern bath with a curved shower area to maximise space. 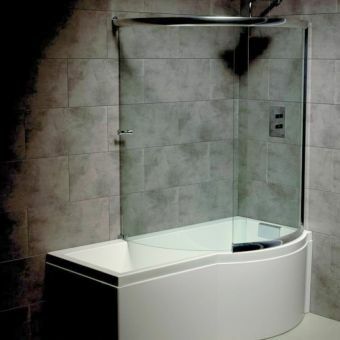 It is available in left or right-hand versions and comes with a matching curved shower bath screen and front bath panel. 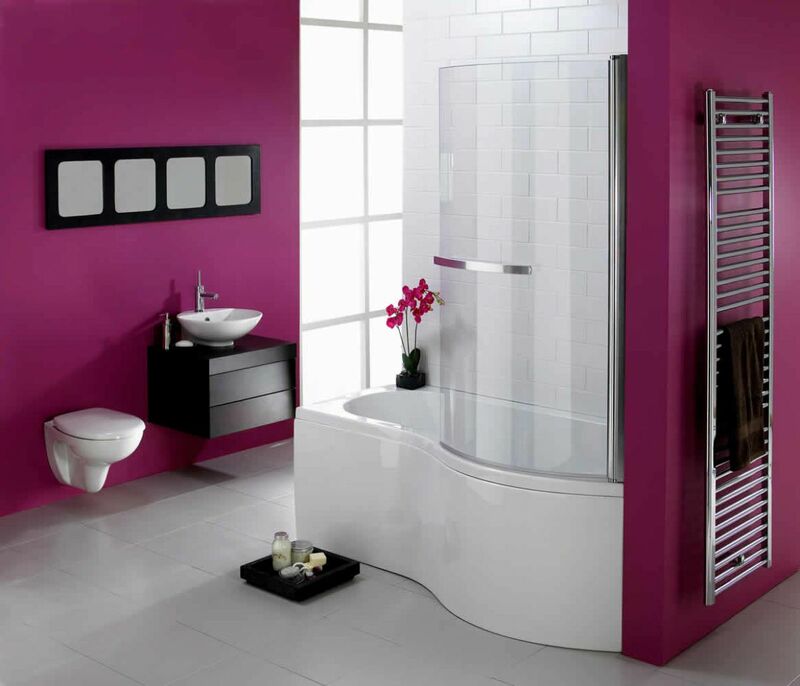 In addition, the screen is supplied with a handy chrome towel rail on the outside to aid in storage. 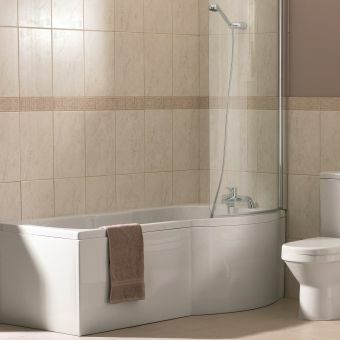 The Hampstead comes in two widths of 1500 and 1700mm to allow for maximum flexibility and will sit neatly in most bathrooms. 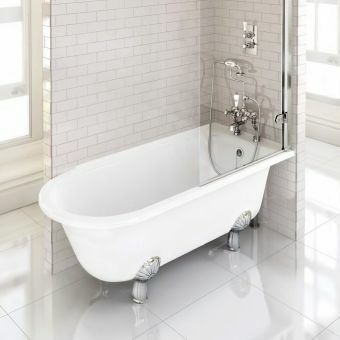 It's lightweight but super-strong Lucite GRP reinforced construction is designed to give years of fuss-free use and will benefit most households by not having to accommodate a separate shower enclosure in the same room. 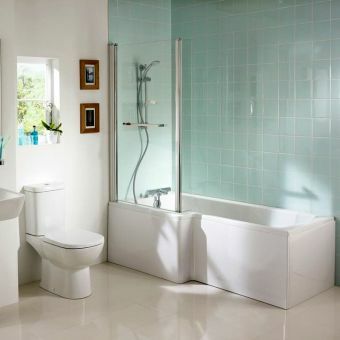 The curved outer front panel is the perfect accompaniment to the bath and hides all pipework from view while allowing quick and easy access to them should a plumbing emergency arise. 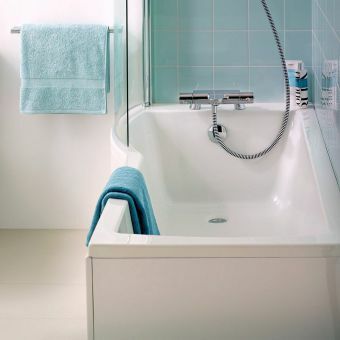 Finally, a matching end panel can be purchased for anyone wanting to install into a corner.